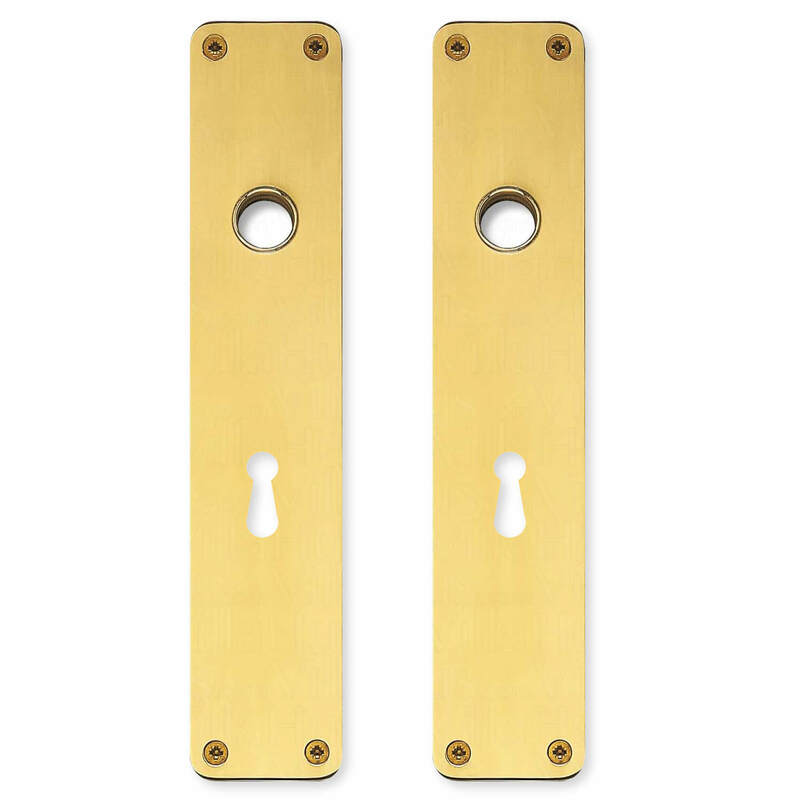 Polished brass back plate from the Classic Line series designed by the architects Benedicte & Poul Erik Find. The back plate measures 220x45x2 mm. Holes for wood screws or M4 screws. Comes in sets with 2 long separators incl. wood screws 3.5x13 mm.